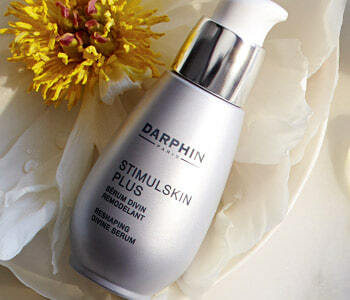 Turn back time with the total anti-ageing benefits of Darphin’s Stimulskin range. Ideal for all mature skin suffering from loss of suppleness, elasticity and firmness. The Stimulskin formulas help to boost your skin’s natural collagen production, lift and renew your skin's youthful vitality. Suitable for all skin types and perfect for those wanting to firm and smooth their complexion for a total anti-ageing, wrinkle-busting result.